The largest community of haskellers in the world! Visit our meetup page to get notified of upcoming events. Our youtube channel contains recently recorded talks from our events. Learn to code in Haskell! The NY Haskell Users Group is for all programmers either interested in or experienced with the Haskell programming language. 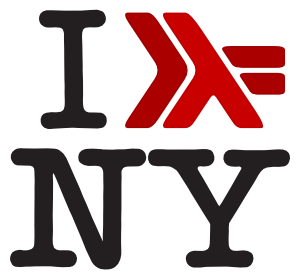 We want to build a community of Haskell developers in the New York area that can share knowledge, projects, and experience, and to generally foster and encourage strongly typed functional programming, in all languages, all settings, and all industries. Our events center around talks, but we have also hosted social hours, code workshops, and a hackathon. Regular meetings are on the fourth wednesday of each month. We have talks every fourth Wednesday; our next event is on October 26th, 2016 at 7pm. Our recurring events are posted on the meetup, sign up to get notified of upcoming events and save your seat for the event. Beginner friendly workshops are in the works. Check back soon! Come chat with us in our new slack team! Visit our Slack invite page and we'll send you an invitation! Do you want to help us nurture the haskell community? Implementing a git library in Haskell is a great way of learning both at the same time. 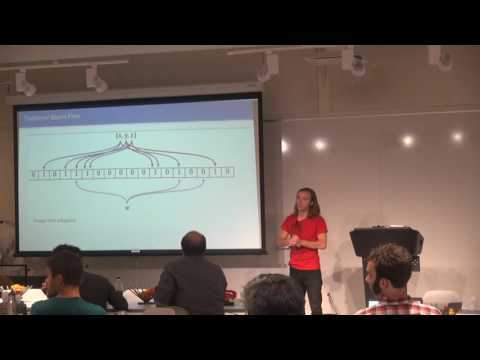 This talk will go over some of Haskell's strengths and weaknesses for this domain, and some of the concepts learned along the way that improved the development of this library. the design and motivation for "hashabler", a hashing library designed to support "unagi-bloomfilteri"
Bio: Brandon Simmons is a programmer, musician and photographer living in Richmond, VA. As a Platform Engineer at Signal Vine he leads the haskell project that handles the core logic and mechanics of the Signal Vine messaging platform. It turns out that much of Haskell can be understood through a branch of mathematics called Category Theory. 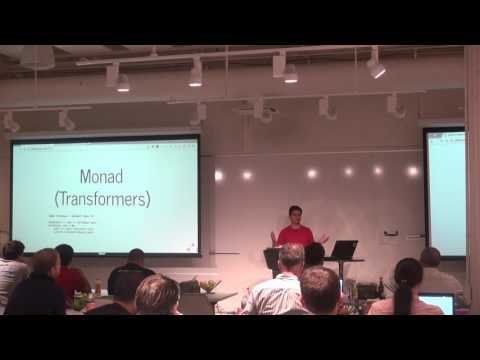 Concepts such as Functor, Adjoints, Monads and others all have a basis in the Category Theory. 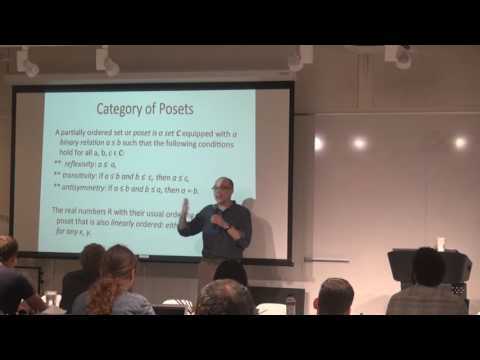 In this talk, basic categorical concepts, starting with categories and building through functors, natural transformations, and universality, will be introduced. To illustrate these, some mathematical concepts such as homology and homotopy, monoids and groups will be discussed as well (proofs omitted). Today we learned how to get started with a Reflex and Reflex-Dom with Ali Abrar. Today 25 haskellers gathered together to spend a Saturday afternoon to chat about Haskell and code in Haskell. Some folks worked on their own projects, or studied specific aspects of the languages, and plenty of beginners were working through the haskell book together. CRAFTED IN NEW YORK, USA. We are a registered non-profit group. Your donations are tax-deductible. To get more information about this, please contact us.